For the first time in the EU, you will hear, we have a broad choice. We can vote for a specific candidate for the post of the European Commission president, not only for members of the European Parliament. The candidates of the biggest political families in Europe were selected in the American style - some more democratically (via primaries), others via the ordinary party procedure. Whatever the manner, they are already touring European cities and capitals competing for our vote. They even call their campaign with the same term as in the US - campaign trail. The culmination will be on May 15th when the five candidates will appear together in a debate which will be broadcast live within the Eurovision network and online. To sum up, European democracy in action. But do we really have a choice? There is no doubt that it is more than exciting that, finally, the EU will come to us instead of us constantly going to the EU. The European political parties will fight for our vote, they will present us their ideas, plans, visions about the future of the Union not from the distant Brussels, but they will come in our capitals and cities. They will try to balance between nationalists, austerians, spenders, Germans, Greeks, the north and the south, the east and the west, between Euro-Atlanticists and pro-Russian forces. But there is a problem. 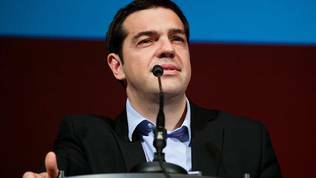 In these elections, for the first time, the clash between the national and European political interest will be especially strong because the national parties make calculations of their own for these elections, while the candidates at EU level threaten to mess them up. And this is especially evident in the fact that there are two parallel elections for the post of European Commission president going on. One is the democratic one that I mentioned above and the other is the well known behind-the-scenes way in which the highest European posts are always bargained. On the formal list you will see the candidate of the biggest political family in the EP at the moment - the European People's Party - Jean-Claude Juncker, former prime minister of Luxembourg and former president of the Eurogroup, elected at the EPP's congress in Dublin this spring. 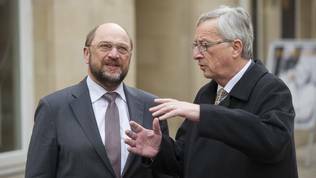 The family of the Social-Democratic parties in the EU nominated another very strong person - Martin Schulz (Germany), the European Parliament president. 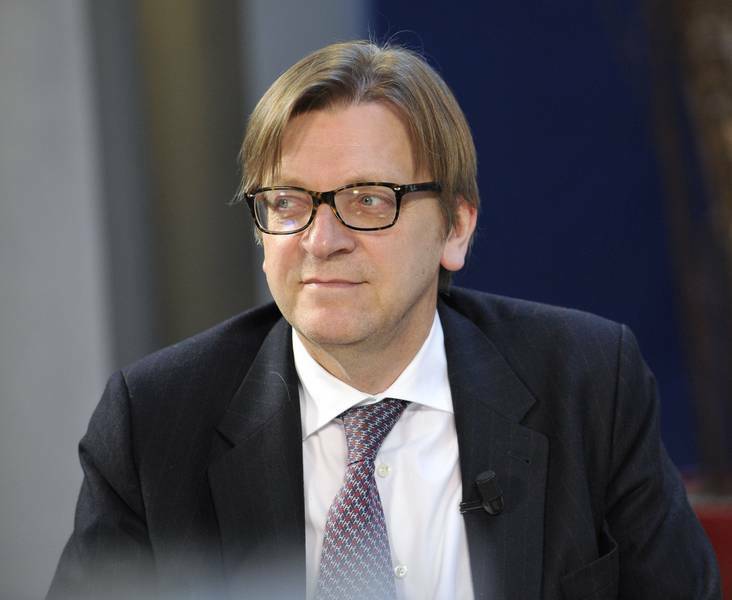 The Liberals propose the famous eurofederalist and passionate proponent of the idea for United States of Europe, former premier of Belgium Guy Verhofstadt. The Greens have selected their candidates via the most modern democratic traditions - via primaries. Their candidate is Ska Keller (Germany). 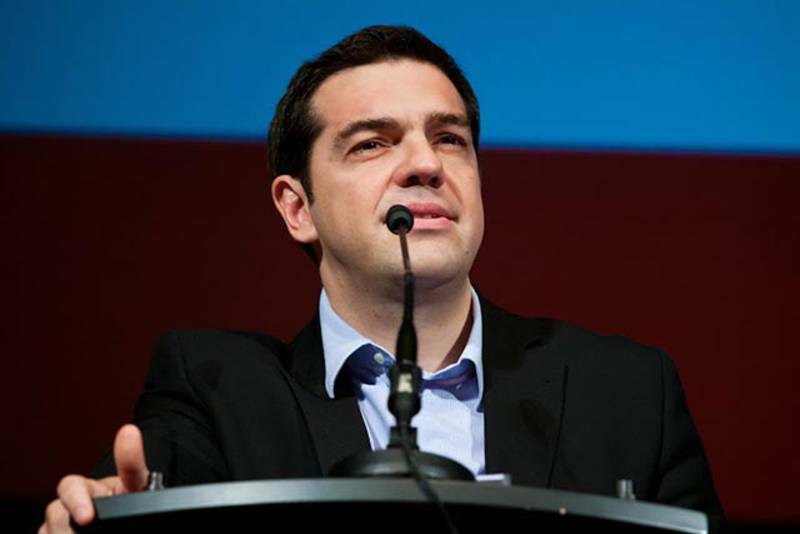 And the European Left nominated the famous Greek anarchist, leader of the Syriza movement in Greece Alexis Tsipras. On the informal list, for which secret negotiations are taking place between the heads of governments, are the names of Finland's Prime Minister Jyrki Katainen who has already announced his readiness to give away Finnish politics for the sake of the European political stage. He is from a party that is a member of the EPP. Beside him is mentioned the name of Denmark's Premier Helle Thorning-Schmidt, who is from the family of the Social-Democrats and enjoys the support of British Prime Minister David Cameron for being married to the son of the former leader of the Labour party and former European commissioner Neil Kinnock. Among the other names on the informal list is that of International Monetary Fund chief Christine Lagarde, who was a minister of finance of Sarkozy's government. Also circulating is the name of Lithuanian President Dalia Grybauskaite. The list is not final and from time to time in it emerges the name of Irish Prime Minister Enda Kenny. On it was also the name of Polish Premier Donald Tusk. The availability of two lists is not the only problem. There is another which might not be that fundamental at European level, but it is in the peripheral states where people no longer trust their national politics and this is a huge issue. If you open the web page of Guy Verhofstadt's campaign, for instance, you will see very clearly what I mean. Very visible is the question "How to vote for Guy?" If you had liked him in the past years as one of the most eloquent, passionate and vociferous European politician and you want to vote for him, you have the option to select your country. If you are a Bulgarian, you can vote for him through two parties only - MRF (DPS) and NDSV. Both highly discredited, especially the former which is considered a political corporation, heir to the business of the former communist security serves. Delyan Peevski is this party's man, who became at a very young age extremely rich and influential without the necessary argumentation and logic of life. Delyan Peevski was proposed last summer to head the powerful State Agency for National Security (DANS) which unleashed unprecedented in terms of continuity wave of civil protests against oligarchy, status quo and the government in particular. Mr Peevski has recently been nominated by regional structures of MRF to run for the European Parliament, which in Bulgaria, among the democratic community, is perceived as a mockery of European values and democracy. Besides, MRF voters are known for being "controlled". They have been capsuled for decades to vote for this party only which is a monopolist in the regions dominated by ethnic Turks. The columns of buses with exiles returning to Bulgaria only to vote, often without any guarantees they had not already done that in Turkey, are very well known in all elections so far. MRF is the only party whose electoral result is practically a constant. It is not influenced by the steady and dramatic decline of voter turnout and are practically always in power in one way or another. 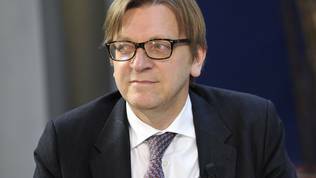 It is clear that through the MRF Guy Verhofstadt is lost for those Bulgarian voters who recognise him as a bearer of the European values and those who want more Europe. And those, in general, in Bulgaria are right-wing voters. They would never vote for MRF even if that meant to support a good European Commission president because, to them, MRF is a symbol of oligarchic democracy, anti-citizenship, media and economic monopoly. Of course, Mr Verhofstadt will get Bulgaria's support because, given the unacceptably frequent amendments to the electoral code, the MRF will again secure a decent number of MEPs who will support the former Belgian premier. But is this the purport behind the idea of separate candidates for each European political party? Does this not rather repulse from the European politics instead of attracting? 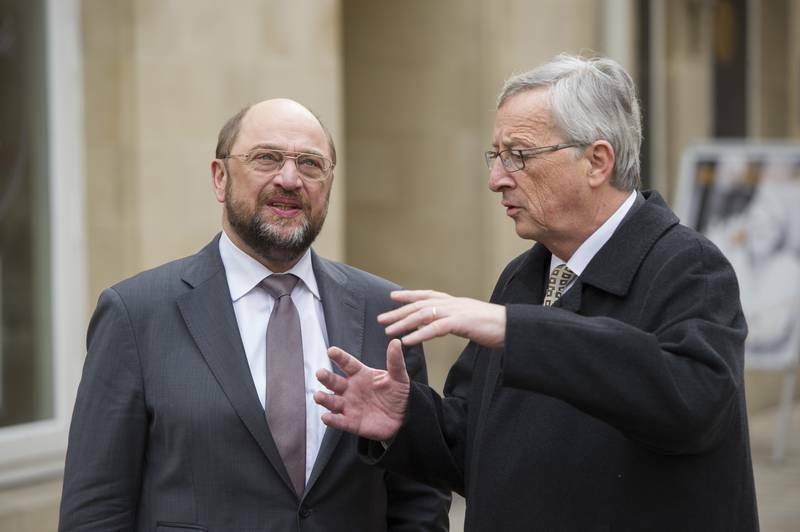 Let's take Martin Schulz as another example, for whom the Bulgarian citizens can vote through the Bulgarian Socialist Party, led by PES leader Sergey Stanishev. A highly unacceptable figure even in his own party, believed to be a conductor of Russian political and economic interests in Bulgaria and symbol of corruption, oligarchy and media monopoly. In Bulgaria, he is perceived a puppet of his dark wife Monika Stanisheva. The Bulgarians are very disappointed from Bulgarian politics and politicians from all political parties and formations that exist. This is one of the reasons why some of them regret they cannot vote for lists in other member states no matter that they do not reside there just like their countrymen migrants can. This raises a very serious question about European politics and the building of a European demos with the existing mechanism. If citizens are allowed to vote directly for a candidate without this binding them to vote through a specific national party, this would be a huge step toward building European political conscience. Then, it will make sense candidates to compete for our vote. But until elections depend on national representatives, there will be no change no matter the excitement to watch debates between European politicians on a European TV station. Nevertheless, these elections will raise tangibly the talk about the EU even in countries where, generally, this is not an issue because of always dominating national topics. And this is already a good step forward.